On Monday I used my first Nails Inc. polish. And today I have another brand that's new to me - Misa. I don't know a lot about Misa, but what I've read has all been positive. 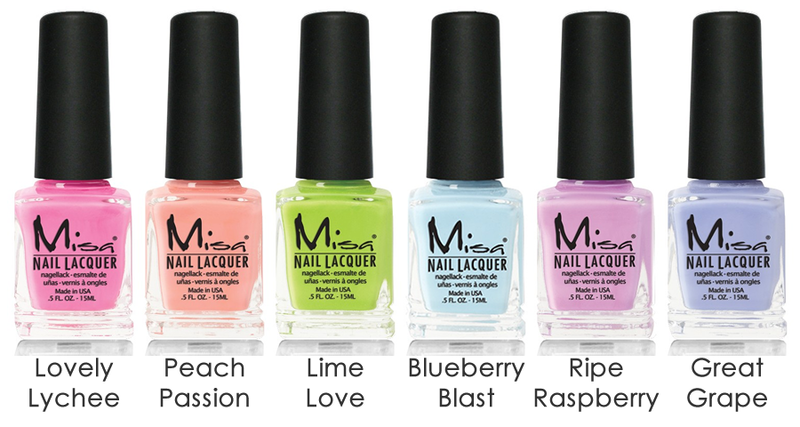 I thought I'd see for myself and bought the Misa Summer 2013 Fresh & Fruity Collection (you know, because I can't just buy one...I need the full set). The colors looked so nice lined up in a row together. Plus my cuticles are screaming "Stop swatching!" So I decided to do a pretty Skittles mani instead. I used five of the six polishes for this mani (...my hubby just walked in, read that sentence and said, "Um...yeah. I don't think there was any confusion about that." I told him to hush because it made a nice segue.) I really liked the formula. 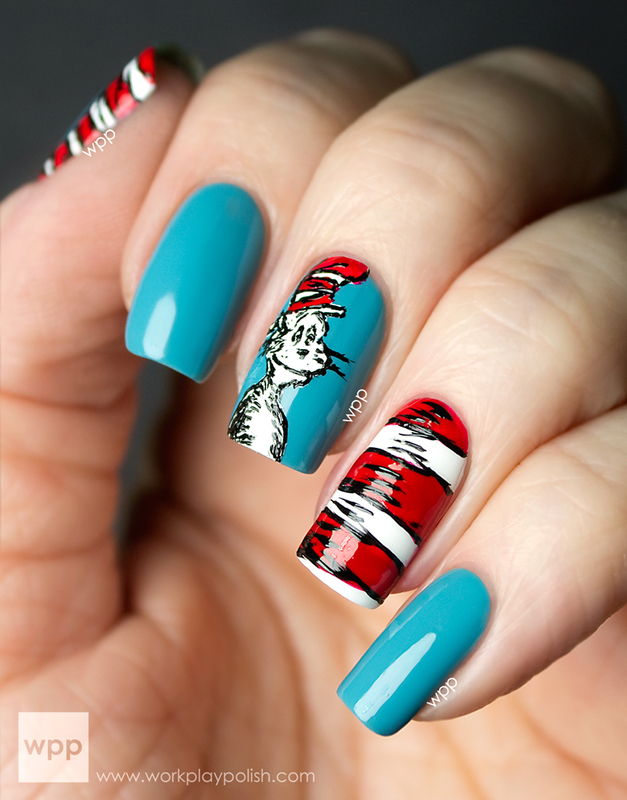 A little thicker, but smooth and opaque in two easy coats. (Thumb) Lovely Lychee: This is a bright neon that dries with a waxy finish. (Index Finger) Peach Passion: This is a lot brighter in person...almost a neon. (Middle Finger) Lime Love: The lone shimmer of the bunch. It's subtle, but super pretty. (Ring Finger) Blueberry Blast: This is a pretty soft blue creme. Very smooth and not chalky like I expected. (Pinky) Ripe Raspberry. This is a bubblegum pink that leans purple. The color left out of the mani is Great Grape. It's a pretty blueish purple creme. I didn't do a full swatch, but I did try it. The formula was on par with the others. These truly are "fresh and fruity" aren't they? I'm really pleased. I'm surprised Misa doesn't get more attention. Misa 15ML bottles retail for $7.50. They are Big3 free, cruelty free and vegan. This collection was supposed to be available at misacosmetics.com in April, but I don't see it there. Misa has posted some teasers on their facebook page. 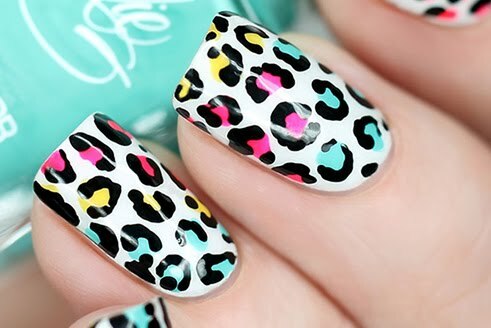 I purchased mine from nailsupplies.us (a redirect from TransDesign). Any big Misa fans out there? Why do you think they're so under the radar?